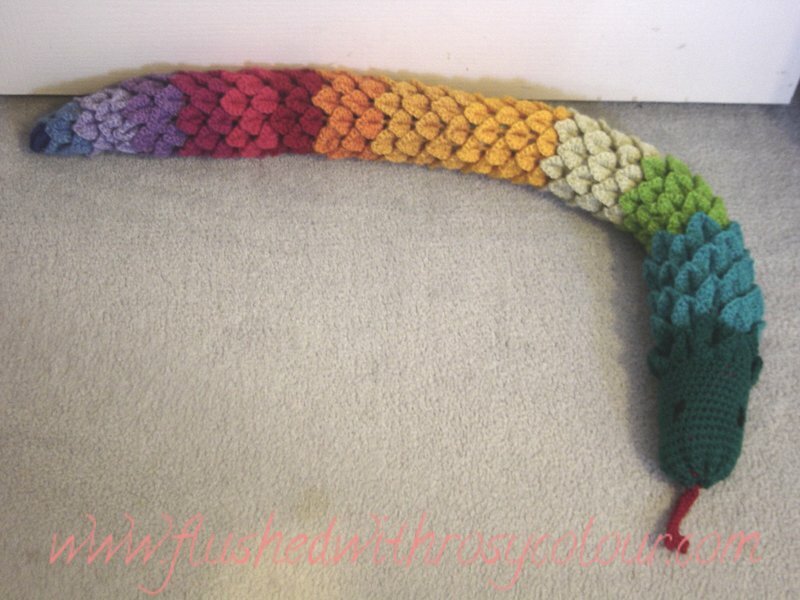 I've spent months working on this, as well as months planning it, and finally its finished, a draft stopper in the shape of a Rainbow Serpent! In Australian culture the Rainbow Serpent is a good luck totem from the Dreamtime, when the large creature shaped the land. Perfect as a draft stopper in my house, and good luck to boot! My son showed some interest in an old yellow draft stopper I made years ago when I started to crochet again as an adult. I have an excess of brightly coloured cheap acrylic and knew it would be just what I needed to make a new snake in rainbow colours. I did about 6 rounds of scales in each colour. 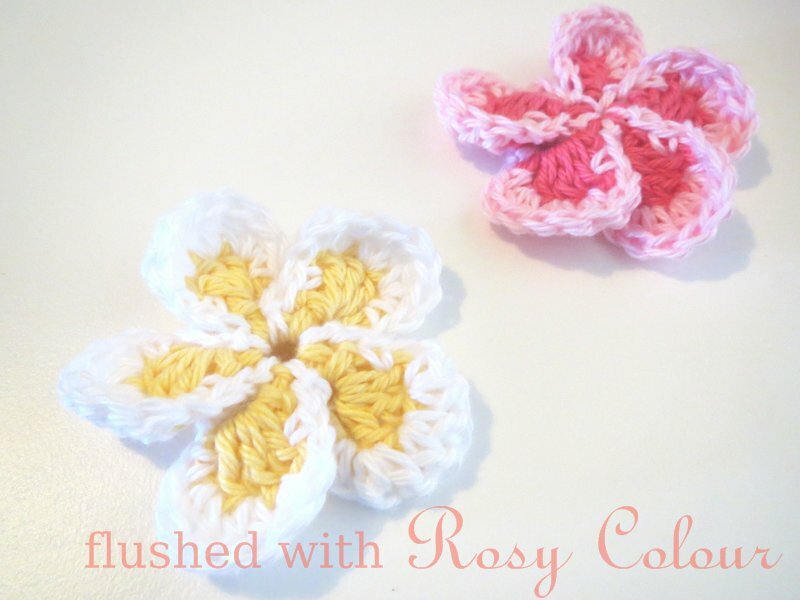 The acrylic is 8 ply, so I used my 4mm hook. I made this pattern up myself, starting with rounds of a few scales, then increasing to 6 scales in each round. This stitch is sometimes called 'crocodile stitch' but its a vintage stitch known as 'scale stitch'. This stitch is also sometimes known as mermaid tears. I learnt how to do it from youtube, when I made a small crocodile stitch purse to go inside my handbag. I finally finished the head with 16 rounds of sc in dark green, with a red drawstring. I embroidered two black eyes onto the smooth rounds of sc before I filled the serpent with old socks and cut up t-shirt. Then I sewed the drawstring closed to form a forked tongue. This is a great toy that also doubles as a useful item in the home to keep out the drafts.